How to Make More Money in your Lash Business – Fast! A couple of days ago, I attended Wealth and Business Growth Workshops in Sydney, Australia. Did you know that there are only 3 ways to actually make more money in your current business? The first one is to get new customers. Pretty self-explanatory but that is also the most expensive part. If you are trying to acquire new customers, then you probably have to put some money in ads and you have to go out, introduce yourself. It costs money and time to get new clients. SO it’s not very cost effective. 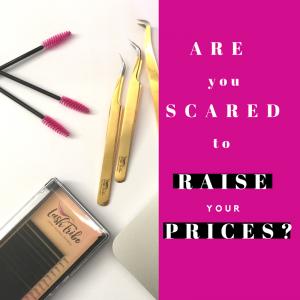 I know that a lot of you are a little bit scared to raise your prices but if you want to make more money without wanting to get new customers, you can raise the prices for your existing customers or clients. I can almost guarantee you that most clients don’t care for $5 or $10 raise but if you’re raising exponentially, then you may have some clients drop off. Then, you will also have some new clients coming in that are more high-end that appreciate your prices a little bit more than the people beforehand. If you’re really cheap already, then you probably don’t have that really high-end clientele and so the people that are more “cheap”, will probably drop off. Have you emailed your old customer list? When was the last time that you actually picked up your phone and called your old clients or sent a text message or emailed all of your customers or clients that you haven’t seen in over six months? Do me a favor and sit down right now. Whatever you’re doing after this video, STOP. Take five minutes and write an email. “Hey, so-and-so. How are you? I’m just emailing you to check up on everything, how are your lashes going? Just letting you know that we’re still here and would love to see you again soon. Take care,” and then put your salon name. Don’t try and sell anything to them. Don’t offer them a special or an offer or anything like that. Just stay in contact with them. 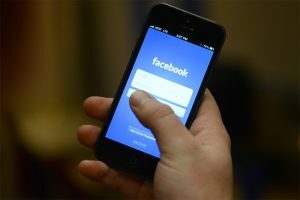 You can send an email or text message or leave a message on Facebook. The Facebook Messenger is actually much better because their open rate is much higher than with email. If you have your clients on your email list, that’s fine. Email them. If you have your clients on your Messenger list, even better. If you have their phone number, phone number and Messenger is amazing. So just message them and say, “Hey, how’s it going? We’re still here. Let us know.” I can promise you, you will get a client. For a five-minute work, a couple of hundred dollars right there. Amazing, right? Come to think of it, these are all really simple and easy to do. Just to reiterate: The first one is to acquire new clients, the most expensive and time-consuming because you have to put money into advertising and you have to use your time extensively. The second one is to raise the prices to your existing clients. Some may drop off and you will have new ones coming in that are a little bit more high-end. The third one, which is the easiest one that I always teach everybody straight up is to just email the existing clients that you haven’t seen in a while. But all in all I just want to say: to build a sustainable business, we really need to build our business vertically and not horizontally. getting more and more clients that only return once is not the best way to sustain a profitable business. Sell more to existing clients, build amazing relationships and you will do well. 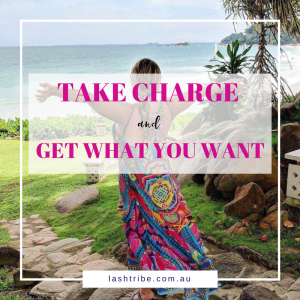 Take charge and get what you want! Ps. To get you more customers, I have a FREE eBook on 5 Steps to Get Clients to help you out. Informative interesting and helpful. Thank you for passing on your knowledge.